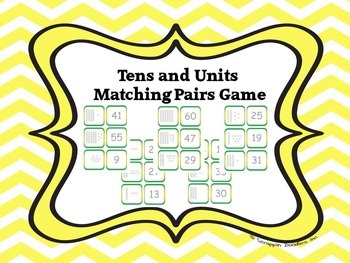 print and laminate to use as a matching pairs game. Children can take turns to turn over two cards, the aim of the game is to get a matching pair. 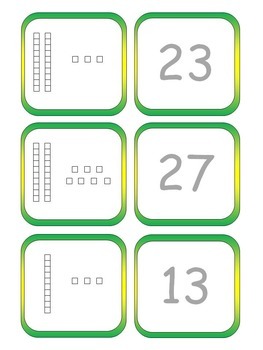 A match pair will be a 2 digit number and a picture of the correct value (shown using diennes apparatus). The pair may be retained if it matches. The winner of the game is the player who has the most matching pairs by the end.